Melissa Naeimi, MPA Class of 2018, has been chosen for the prestigious Lighting the Pathway to Faculty Careers for Natives in STEM Programs initiated by the American Indian Science and Engineering Society (AISES). The program supports students with advice, conference attendance, support, travel and other amenities throughout their graduate and PhD studies. Congratulations, Melissa! Katherine Himes, MPA adjunct, has written an op-ed on international development and science. The University of Idaho is pleased to announce that Katherine Himes has accepted the position of director of the James a. and Louise McClure Center for Public Policy Research in early September. Lea Kronenberg, 2nd year MPA student conducted an online survey about gangs in Yakima as part of her Capstone project. In an inspiring and heartfelt ceremony, the ASPA honored Karen Frasier with the award for International Affairs Advocacy on Tuesday evening in the Governor’s Mansion. 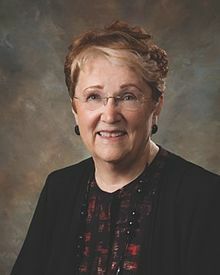 Her tireless efforts through 50 years of public service include the establishment of the ASPA Evergreen Chapter exchange program with the Hyogo Administrative Policy Studies Association in Japan. It is because of her advocacy and mentorship that Evergreen has a relationship with international MPA exchange, and the opportunity to engage with Public Administration students from abroad, including our own Kiriko Takehashi. While Karen has retired from public service, we certainly hope she will continue to inspire MPA policy students as an adjunct faculty. The ASPA Evergreen chapter also presented awards to: Dr. Craig Shin of Portland State University for his work with the Graduate Certificate Program in Collaborative Governance; Michael Kern & Bill Ruckelshaus for their work with the Ruckelshaus Center, a collaborative between UW & WSU which develops collaborative and effective solutions to complex public policy issues; Mary Van Verst, for her leadership, advocacy, and mentorship work with ASPA; Peter Bloch Garcia, honored with the first ever Billy Frank Jr. Award for Race & Social Justice, for his lifetime commitment to actionably strengthening communities; Dr. Sandra Archibald, Dean of the Evans School, for her devotion to advancing public service and her lifetime contributions to public service; Kaha Arte, from Seattle University, as an Outstanding Graduate Student in PA, for her commitment to advocating for underrepresented populations; and Trevor Robinson, from UW Evans School with the same award for his work with the Ruckelshaus Center, and his exceptional application of qualitative analysis to collaborative public policy. 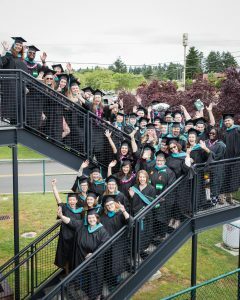 The ASPA Evergreen Chapter is Washington State’s chapter of the nation’s largest organization promoting the field of public administration, providing support for practitioners, academics in the field and students seeking a career in public service. 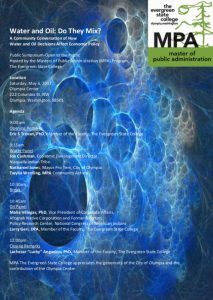 The Evergreen State College-Masters of Public Administration (MPA) will host a public symposium on Saturday May 6, 2017 from 9am-12pm. The framework of this free event is to discuss water and oil economic policy with the community. Titled “Water and Oil: Do They Mix? A Community Conversation of How Water and Oil Decisions Affect Economic Policy” a variety of speakers will discuss issues pertaining to these subjects and how it impacts the economy and other systems. The organizers have commitments from great speakers providing multiple perspectives on these issues in order to engage in a discussion how to balance these complexities within the modern political climate. The focus of this forum is to stimulate a discussion to understand multiple perspectives and to seek a better understanding of the deeper meaning of advocacy of these relevant topics. A committee of Larry Geri, DPA, Lachezar “Lucky” Anguelov, PhD and Eric S Trevan, PhD has coordinated this event and students within the MPA program at Evergreen will also engage in this conversation. “We need to empower individuals on all sides of these issues if we are truly going to understand how to reach consensus,” stated Member of the Faculty Trevan. The City of Olympia was generous and donated use of the Olympia Center for this event downtown Olympia. There are 80 attendees committed and the venue can hold 150. There is no need to RSVP; the organizers encourage individuals to attend and engage in this community discussion. First Year Students Learn Bill Analysis from Leadership! 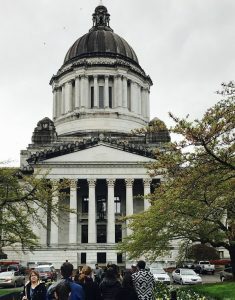 Our first year MPA students had the unique opportunity to learn about writing a bill analysis and fiscal note from the people directly involved in the process: Policy Director, Budget Analyst, Agency Director, Non-partisan Research Analyst, Lobbyist, and the Governor’s Policy Advisor. We held class at the capitol campus in the Senate hearing rooms. All of our guest speakers were fantastic and the experience was rewarding thanks to the community engagement and hands on workshops provided by MPA adjunct faculty member, Amy Leneker. From 2011 to 2015, Katherine Himes held a dual role as a “scientist-diplomat” when she was a valued adviser to government ambassadors and policymakers. As an American Association for the Advancement of Science (AAAS) science and technology policy fellow and science adviser, she served the U.S. Agency for International Development (USAID) and the U.S. Department of State. She supported some of the world’s most necessary foreign policy solutions by blending the intricacies of the neuroscience she absorbed while earning her PhD at the University of Minnesota with the principles of entrepreneurship she learned at the University of Wisconsin.